While a skilled outdoorsman can utilize as many of nature’s resources as his imagination and ingenuity permits, drinking outdoor water supplies pose a serious health hazard. No matter how clean and clear a brook or stream may seem, it has the potential to be teeming with microorganisms. In addition, many water supplies may be contaminated with non-biological contaminants such as chemicals and heavy metals. These types of pollutants enter into the ground and over time filter down into the local water table. Purification is necessary to ensure that water is potable and doesn’t cause any of a variety of illnesses associated with drinking contaminated water. There are many different potential water pollutants, but two broad categories are chemical and biological contaminants. Chemical contaminants include the runoff from fertilizers and pesticides, heavy metals such as mercury and lead, detergents, solvents, fuels, ammonia and acid, among others. Many of these substances possess varying levels of toxicity; traditional methods of water purification will not properly treat water contaminated with them. Specialized water treatment plants are usually necessary to purify the water. Protozoa –Single cell organisms such as giardia and C. parvum that are among the largest in size of potential contaminants. 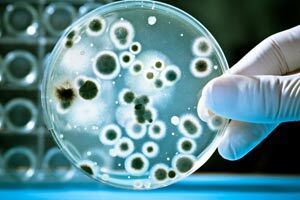 Bacteria – Single cell organisms such as salmonella, E. coli, and legionella. Viruses – Non-cellular organisms such as Hepatitis A and poliovirus. Biological contaminants can cause a variety of illnesses. Since contaminated water enters into the digestive system first, most of these illnesses exhibit symptoms like diarrhea, abdominal pain, bloating, gas, nausea, and flatulence. They also can cause fever, fatigue, muscle aches, and other flu-like symptoms. There are a variety of ways to treat contaminated water that do not involve specialized water treatment plants. These include boiling, filtration, chemical treatments, and solar methods. 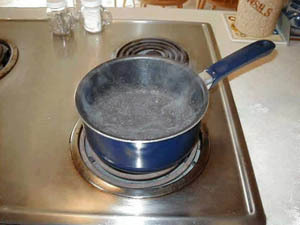 Boiling water raises the temperature of the water to 212 degrees Fahrenheit. Since almost all microorganisms will die at temperatures slightly below 200 degrees (with the exception of botulism spores), bringing water to a rolling boil for a few minutes will eliminate them. In the case of botulism, the toxin that the bacteria produces is destroyed at the boiling point of water, but the botulism spore itself is not; it’s free to keep producing the toxin later on. A temperature of 250 degrees Fahrenheit is necessary to destroy botulism spores. At sea level or above, this isn’t possible without the use of a pressure cooker. Filtration involves using porous materials that allow water molecules to pass through but stop and collect larger particles and microorganisms. One very common method of filtration is using activated carbon. This is a processed form of charcoal that is very porous and has lots of surface area. It utilizes a chemical property called adsorption (not to be confused with absorption) in which molecules stick to the surface of the carbon. Activated carbon is found in most commercial water filter/pitchers. Another method of filtration is membrane filtration, in which a very thin sheet of material contains very tiny pores. The pores are small enough that water can travel through it, but not large enough to allow microorganisms or large molecules to pass through. Membrane filters are rated by the size of the pores, which are measured in microns. Chemical treatments involve mixing certain chemicals uniformly into a container of water and waiting for a certain period of time as the chemical treats the water. The most common chemicals used to treat water are iodine and chlorine. The drawbacks to iodine tablets are that they are light sensitive (they must be kept in a dark container), they have a limited shelf-life (around 3 months), and some people have an allergy to iodine. Chlorine tablets are used similarly to iodine tablets and are a viable alternative for those with iodine allergies. The drawback to chlorine tablets is that they have an even shorter shelf-life than iodine (3 days). Chemical tablets must be used for a minimum of 30 minutes, but the colder and cloudier the water, the longer the necessary treatment time. Solar methods include solar stills and solar water disinfection. In a solar still, contaminated water sits in a basin or trough that is heated by the sun. A piece of glass or plastic is fixed above the basin of water and angled downwards towards an empty basin. As the heat from the sun evaporates the contaminated water, pollutants are left behind in the original basin. Water vapor collects on the glass or plastic through condensation and because the glass or plastic is angled, the water drips slowly into the clean, empty basin. In solar water disinfection (SODIS), clear plastic PET bottles are filled with water and placed in direct sunlight for 3-6 hours. Microorganisms are killed by the effects of UV radiation that accompanies natural sunlight.